Consistency is a key driver for software product engineering. It can reduce costs, improve software performance, reduce product development times, increase productivity and support higher levels of innovation. In an environment where software quality, performance and delivery are integral to digital transformation, consistency is essential. 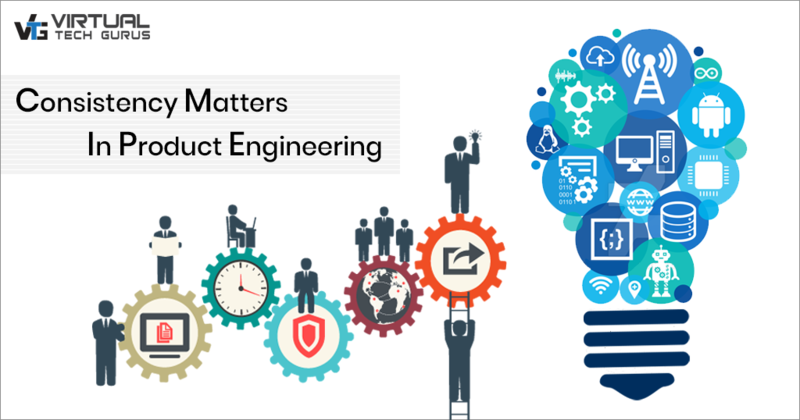 However, for many software developers, consistency may not yet match the levels achieved by firms at the top end of the product engineering maturity scale. In the mature model, software products have a consistent design and architecture that makes management easier and development even faster. That’s a long way from earlier models where coding and component consistency were the main areas of focus. The natural progression moves from consistent coding across all applications to re-usable components that speed and simplify development. The next stage of evolution is the use of design patterns that make it easier to customize existing applications for specific use cases while maintaining the other benefits of consistency. Focusing on standardized architecture enables developers to simplify application management through consistent administration processes. The end result is a flexible development environment where scalable, customizable applications can be delivered rapidly and managed efficiently, with cost and resource savings all round. Software products developed under this strategy of consistency share a number of important features and benefits. At the coding level, developers can create standard templates for building standard applications. The templates improve productivity and delivery times, but they also make it easy to make changes without large-scale recoding. User experience will be consistent across an organization’s applications and services. Developers can apply or customize reusable user interfaces to cut development time and ensure consistent levels of usability and navigability. This not only improves user experience, it can also increase productivity across the organization and reduce training and support requirements. Applications will be cloud native and cloud neutral. This ensures that they will operate effectively in any public, private or hybrid cloud environment and will deliver all the scalability, accessibility and mobility benefits of cloud. The use of standard, reusable code, components, designs and architecture give developers the flexibility and adaptability to quickly and easily change or reconfigure applications in line with changing business or operational needs. This is an important benefit in the dynamic, rapidly changing environment that characterizes digital transformation. It means that developers can confidently create and implement clear roadmaps and strategies without the risk of major redevelopment requirements to meet unexpected changes. These benefits don’t just apply to new software products. Developers can apply the same techniques and processes when modernizing legacy applications. Using consistent, reusable code, components and interfaces makes it easier to re-platform legacy products to deliver the performance, functionality, scalability and reliability necessary to meet changing user expectations and demands, and take advantage of the latest technological developments.